The one thing people tend to ask me most is what products I use on my hair, so I thought it would be a good thing to do a blog post about. These are my go to products which mostly stay the same and have done for quite a while now. Sometimes I add in a few more things (leave in conditioners/shine spray etc) but overall these are the things I have found that work for me. For colouring I use Garnier Nutrisse. I have tried SO many hair colours over the years and this is the only one that works on my colour resistant greys. It also leaves my hair feeling healthy and conditioned. I have a really fussy scalp so not all shampoos suit me (what a surprise). 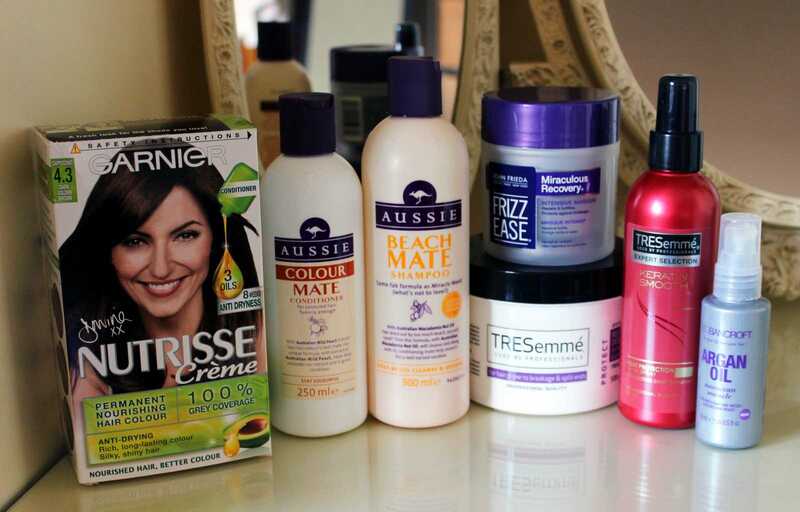 The shampoo brand that I've found works for me is the Aussie Brand. It doesn't matter which one I use in the range so I tend to switch it up every now and then and have, at one time or another, used them all. 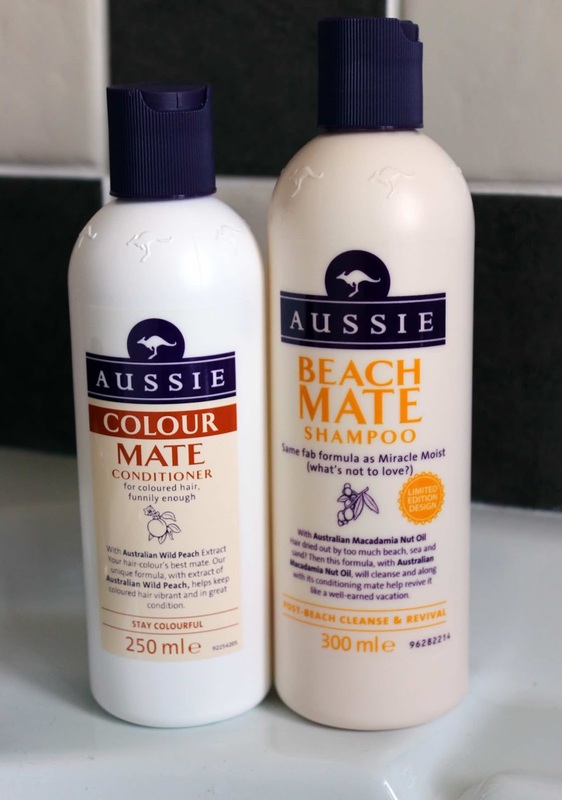 At the moment I'm using the Beach Mate Shampoo & Colour Mate Conditioner and I tend to buy them when they're on offer. 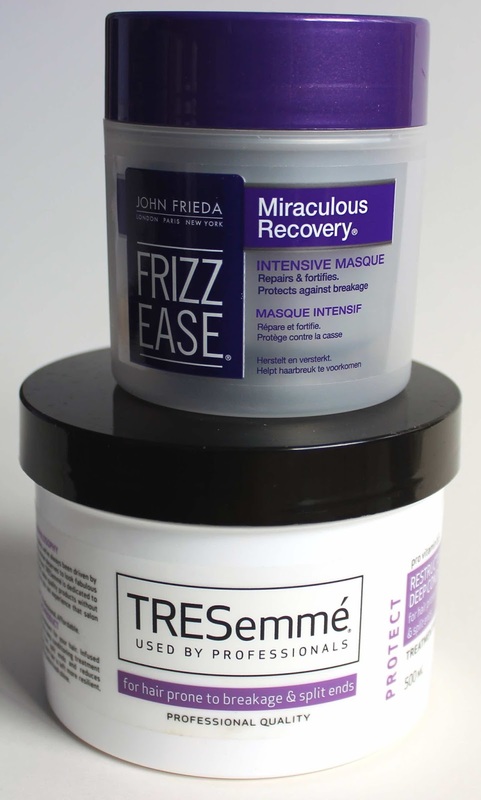 To protect my hair when heat styling I love the TRESemmé Heat Protector. As much as I love the Aussie Shampoo and Conditioners I didn't like their Heat Protector. I found it left my hair sticky and heavy. The TRESemmé one doesn't do that and I also find that it detangles my hair slightly as well! Always a plus when you have hair like mine that tangles so easily. I go through phases of using Argan Oil and hair masks (either the Aussie 3min miracle or Frizz Ease) depending on the condition of my hair but I personally find it's more in the summer that my hair needs these, so at the moment I'm not using anything beyond my regular shampoo and conditioner. They are my main products that I use everytime I wash my hair. I only wash my hair every 2/3 days. With the length and thickness of my hair I really couldn't be washing it everyday and it doesn't need washing every day as it's really only my fringe that gets anyway greasy after day 3. If my fringe has been recently cut I can actually get away with 3 days of good hair before I need to wash it. 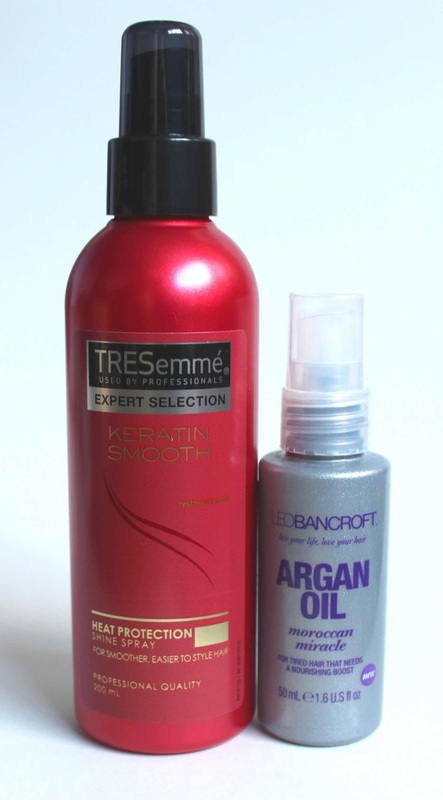 Have you found any hair care products that you can't live without? I'd love to hear about them in the comments.